You have questions about our training courses, health retreats, or other euroved offers? If so, we look forward to receiving your call or e-mail via our contact form. Separate forms are available to register for training courses. 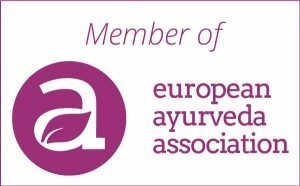 In Cologne euroved is running an Ayurveda Doctor’s Office, an Ayurveda Academy with training and continuing education for doctors, therapists, and laypeople and the eurovedshop.com with many different ayurvedic products. The foundation of the euroved Gesellschaft zur Verbreitung internationaler Heilweisen mbH by Dr. med. Harsha Gramminger was in 2003. Today she manages the doctor’s office and the academy.